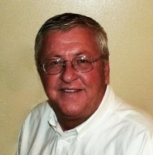 Clark Sather is currently living in North Dakota, working as a General Manager in "IQBID.com" and is interested in Agriculture & Farming, Construction, For Sale. IQBID.com is currently in an expansion phase and seeking qualified personnel located in key areas. This profile is owned by Clark Sather. Send a message to this person to delete this profile.